Laetare Sunday – Be joyful! This Sunday has a joy-filled tone. 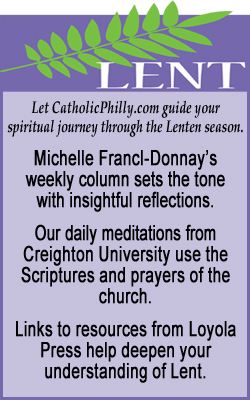 We enter into the second part of Lent with a spirit of eagerness. Our celebration of the mercy and life given to us in Jesus is near. All the readings are profound. 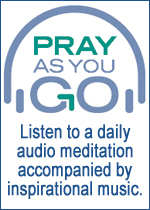 The letter to the Ephesians can be a meditation for the week. We have been saved by our Lord, Jesus, the Christ. That is consoling at this part of Lent. It is not the work we do that saves us. It is God’s love – in the midst of our darkness. We can ask to be “lifted up” with Jesus in his surrender with the Father: lifted up on the cross and therefore, lifted up in Glory. And, we can express our desire to be an instrument of his healing love, in the hearts of those to whom he sends us. Let my tongue be silenced, if I ever forget you! This weekend in our parishes we celebrate the Second Scrutiny, with the Elect journeying to the font of Baptism, using the gospel about the healing of the man born blind. Let us give glory to God, whose kindess knows no limit. Through Jesus Christ, who lives for ever to intercede for us, let us pray: Kindle in our hearts the fire of your love. God of mercy, let today be a day rich in good works, -a day of gnerosity to all we meet. From the waters of the flood you saved Noah through the ark, -from the waters of baptism raise up to new life those under instruction. May we live mot by bread only, -but by every work falling from your lips. Help us to do away with all dissension, -so that we may rejoice in your gifts of peace and love. Loving Father of mine, I feel the pace quicken, the time draw near. I am filled with joy as I move toward Easter and the promised reconcilation with you. Teach me to follow the example of your Son, to be worthy of being called one his people: a Christ-ian. Help me to live each day as he did turning hatred to love and conflict to peace. I await the new life with eagerness, faith and a deep gratitude.